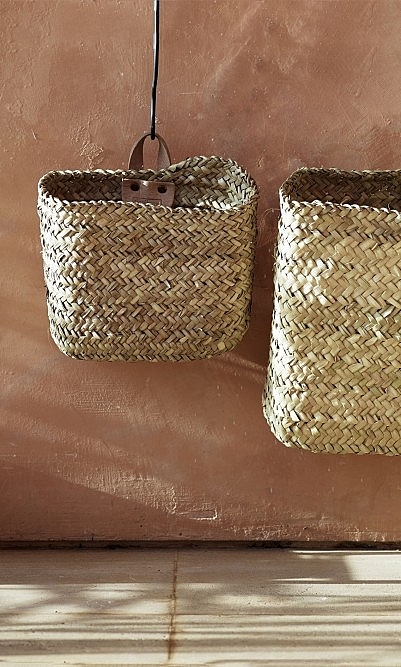 Handwoven straw baskets with a tan coloured hook for hanging on the wall. Set of two. Large bag H35cm x W34cm, small bag H23cm x W24cm.